Beautiful 3 Bed/2 Bath + Office w/Tile Roof, Possible RV Parking & POOL! This home features a dining room, living room, stainless appliances, lots of cabinet storage, kitchen island w/bar, breakfast nook, pantry, tile counters & backsplash, tile flooring, built-ins, inside laundry w/sink, office possible 4th bedroom (no closet), master suite w/walk-in closet, dual sinks & soaker tub! The lovely landscaped yards offer a low maintenance backyard w/Sparkling POOL w/diving board & large covered patio w/X4 fans! Located on Corner Lot in Eastside Neighborhood near Alpine & Mission Oak School! Must See! 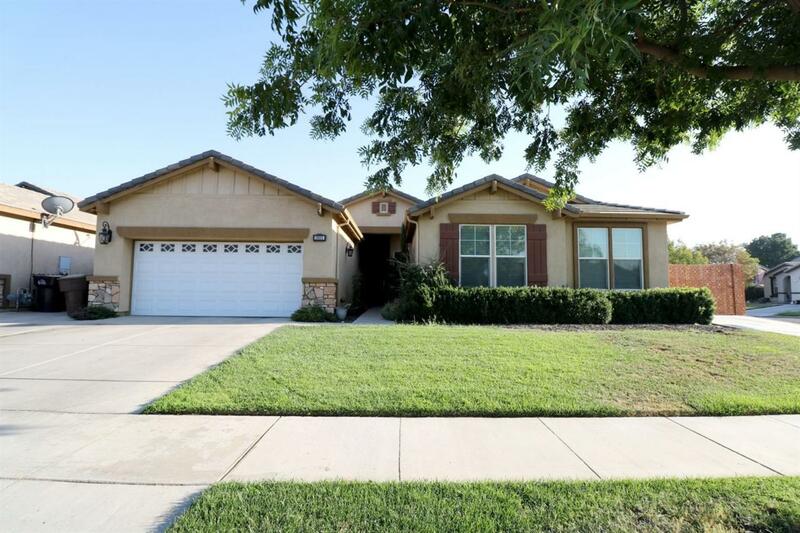 Listing provided courtesy of Dannelle Blain of Keller Williams Realty-Tulare.